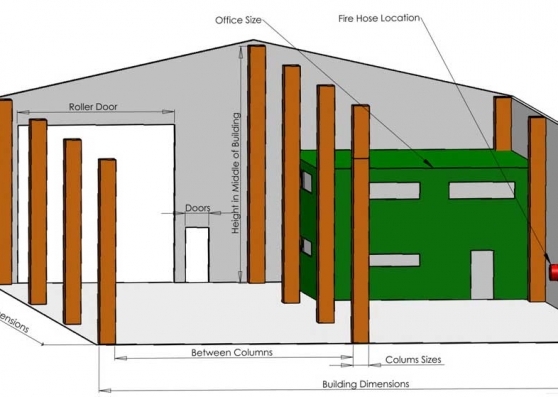 Macrack offers a free warehouse design service. This includes a MACRACK representative coming out to see you for a free measure and quote of your warehouse. 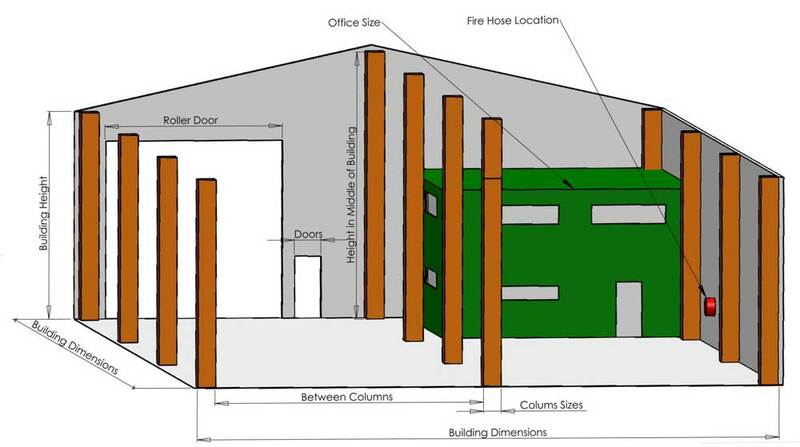 From this you receive a PDF plan layout of your warehouse and can see how to best fit out the space. Unlike other companies who try to sell you what they have in stock, a MACRACK consultant will listen to you and understand your specific needs. Our consultants know the MACRACK product inside & out and are willing to take the time and effort designing the perfect floor plan for you, maximising your warehouse design’s efficiency and capacity. Click on the handy documents below! These will give you data to help figure out how to layout your warehouse and how best to utalise your space. Plus it gives you information on standard sizes and components. We also offer complimentary 3D CAD design of any custom parts you may need, this allows you to visually understand what you will be getting before you engage us. We are able to manufacture huge varieties of custom parts, because we actually are warehouse shelving manufacturers! Other companies only import product, but we make everything here in our Brisbane office. The design team will work with you, from initial design, through to prototype and manufacture. 1 Off items, or 10,000 Off we have the capability to make anything. The secret to MACRACK’s superior warehouse racking systems is the ingenious ‘keyhole’ design. With this design the beams easily slots in and out of the frame because of the extra clearance. 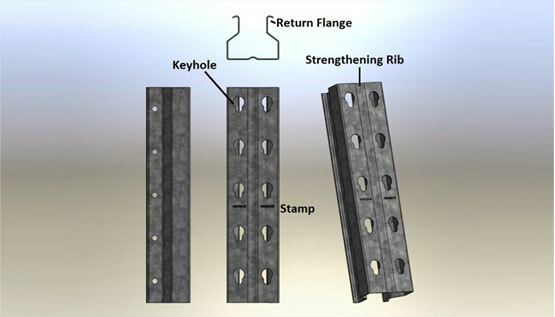 Other companies use different shapes which tend to ‘stick’ in the frame and can cause fatigue to the upright over time. With a round surface to distribute the weight of the beam, we ensure maximum distribution of the load throughout the frame. 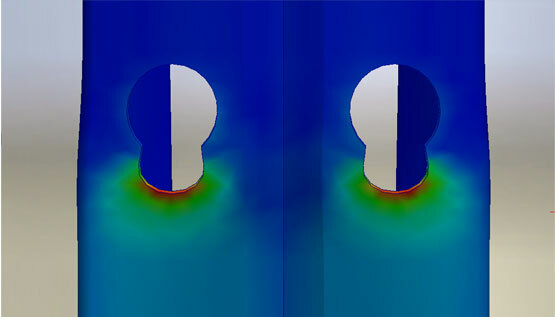 The rounded bottom of the keyhole also allows for even distribution of weight into the uprights, reducing the directional force from the beam. This is the engineering excellence that sets us apart from the competition. Macrack use a roll formed section beam most of the time, which essentially is 2 sections of coil steel rolled into ‘C-sections’. The sections are then pressed together to create a solid structure which disperses the weight evenly through the beam and creates a sealed environment preventing contaminates and rust areas. Unlike a ‘Open Section’ beam where dust, particles, bugs and rust can hide, these beams are fully enclosed and don’t allow for this to happen. 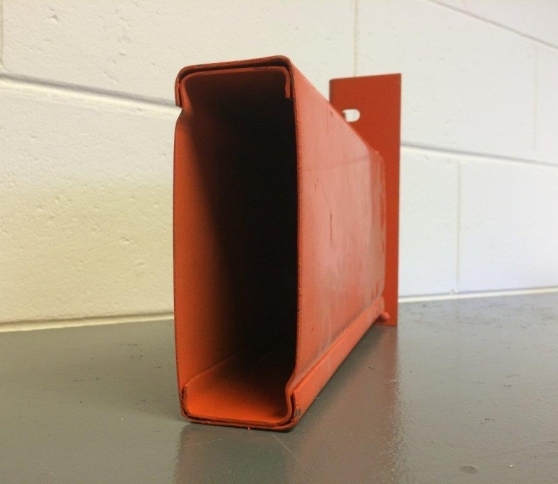 Other companies have turned towards the I-beam design in their warehouse racking systems, (this is also known as ‘dog bone’ due to the roll formed section profile looking like a dog bone). These beams may take similar weight loads to the MACRACK section, however are prone to damage as they roll around the axis essentially twisting the beam. This is not safe and the weight load then shifts to a point load on an edge of the beam. This happens because unlike a box section the centre of the I-beam is weak, because it is so close together, so if your pallet accidently grabs the beam it will twist horizontally. That’s why MACRACK sticks with their quality beams, that are proven time and time again. 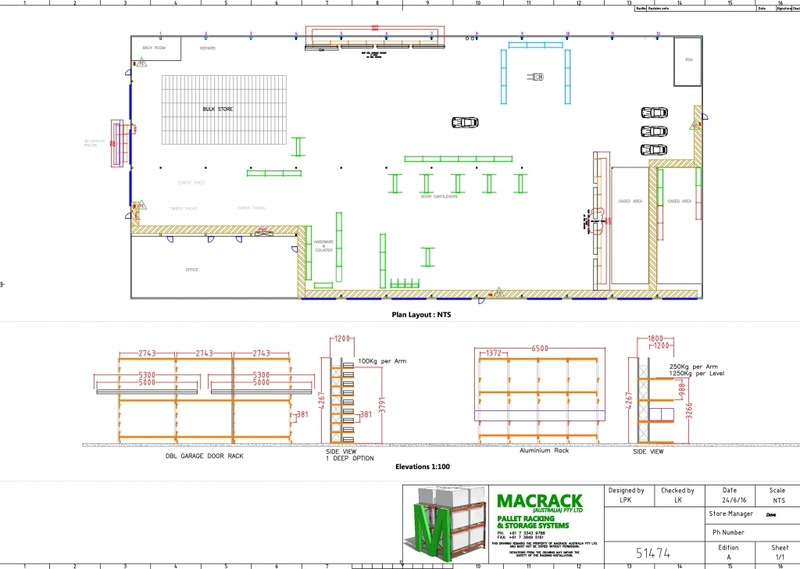 For a warehouse design solution you can rely on MACRACK.